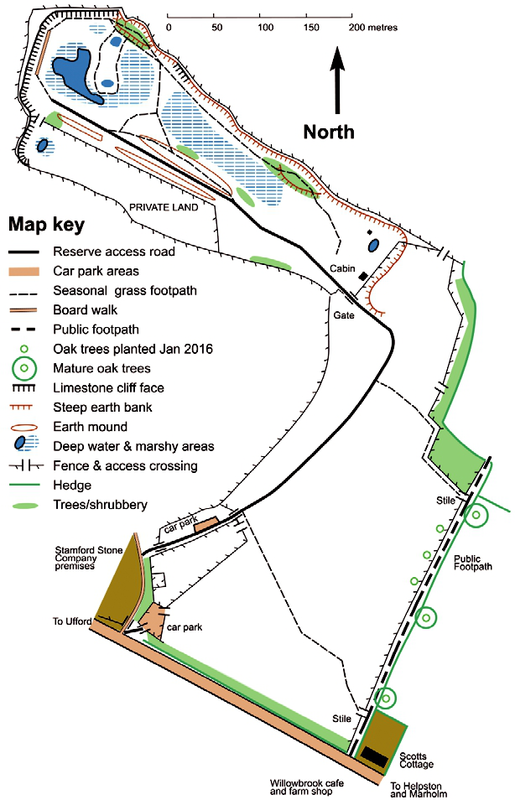 The Langdyke Countryside Trust established its first nature reserve at Swaddywell Pit in 2003. Located south of the village of Helpston near Peterborough in north west Cambridgeshire, Swaddywell was the site of a quarry from Roman times onwards. It takes its name from a nearby spring where reputedly an ancient sword was once found. Over time Swordy Well became Swaddywell and the spring itself probably now lies beneath King Street. In medieval times quarries such as Swaddywell would have provided stone for local churches and for the great cathedrals at Ely and Peterborough. 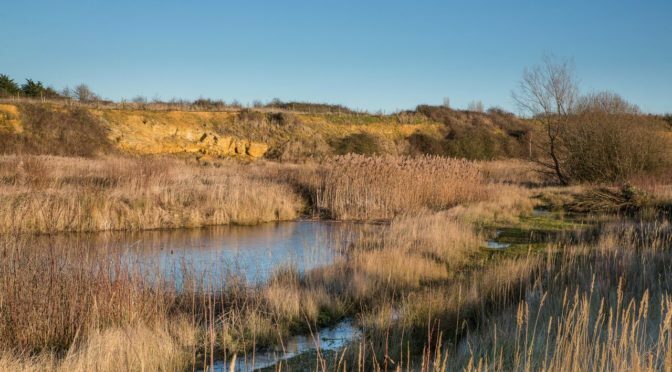 More recently Swaddywell has had a chequered history – one of England’s very first nature reserves in the early 20th Century it then became in turn a quarry, bomb dump, landfill tip and race track. 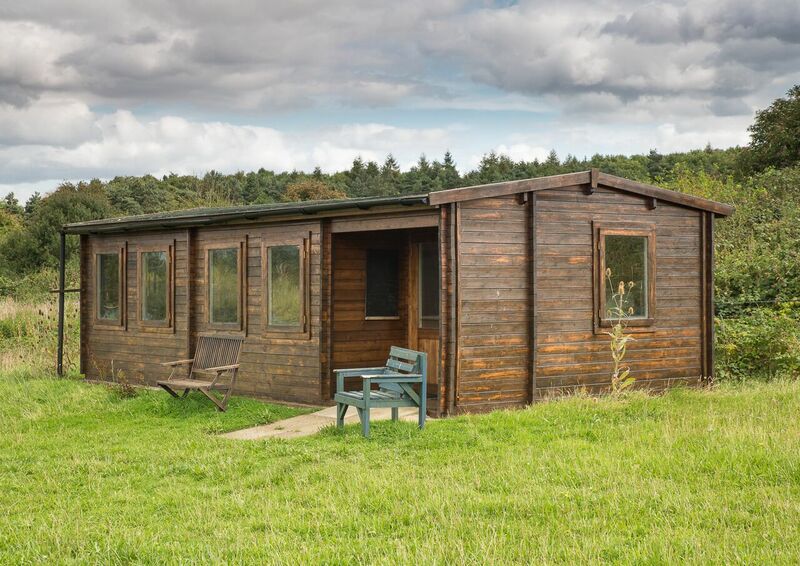 John Clare – the Helpston-born poet – wrote about Swaddywell in the early 19th century, describing the changing landscape brought about by the enclosure of common land and the consequent destruction of many familiar landmarks. With the establishment of the nature reserve and arrival in 2005 of a flock of grazing Hebridean sheep, perhaps Clare’s verse was prophetic – certainly Swaddywell is certainly looking up again. Swaddywell was one of England’s earliest nature reserves, leased by the National Trust between 1915 and 1924. Charles Rothschild, a founder of the modern nature conservation movement, included Swaddywelll on his 1912 list of the country’s most important nature conservation sites. Swaddywell was sold in 1924 and quarrying resumed. During the Second World War is was used as a bomb dump. After the war the original site was filled and returned to agriculture, while quarrying moved further east and north, creating the current pit. During the 1980’s the quarry was a rubbish tip. More recently in 1997 it was used as a Volkswagen racetrack. The last working area of the quarry in the NE corner left a large pile of stone waste in an even larger lake, with a bare rock face where the boardwalk is. The disturbance to the mid-section by the construction of the racetrack and associated features, followed by its demise and the remodelling of the lake, have created the varied habitats now present. Unlike Torpel where we are trying to roll back uniformity, at Swaddywell the puzzle is to understand and preserve the jigsaw we have – what species are dependent on which relatively small part or feature of this landscape. 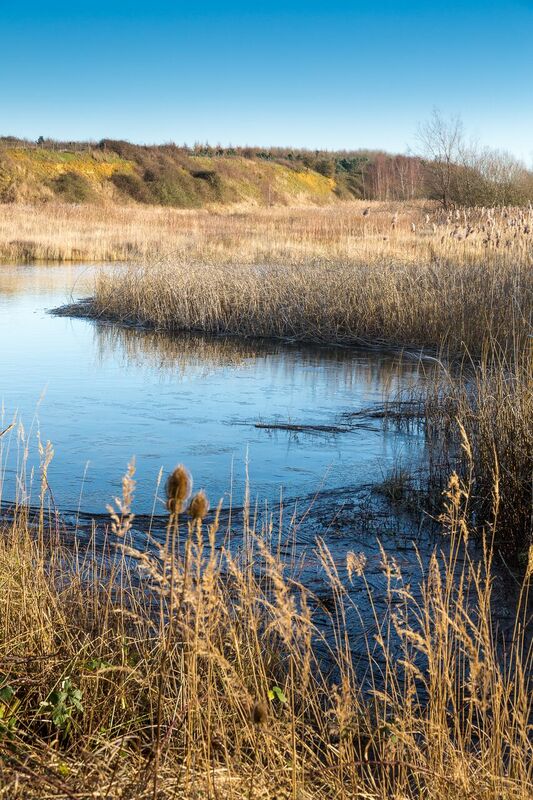 In the north-western part of the reserve the old quarry remains, providing a mosaic of habitats and a unique chance to see Swaddywell’s important geological features. The quarry exposes an outcrop of the lower beds of Lincolnshire limestone. This was formed as a marine sediment in warm, sub-tropical waters some 160 million years ago when the area lay in latitudes about equal to present day North Africa. These sediments were lifted above sea level at various times, the latest being during the formation of the Alps some sixty million years ago. One of Swaddywell’s most important natural features is its population of great crested newts. Although internationally scarce, the amphibian is common around the Peterborough area. In spring and summer the quarry is alive with 14 species of dragonfly – the most obvious probably being the emperor dragonfly. The emperor is the largest British dragonfly and aggressively hunts over the ponds, clashing in aerial duels with rival males. It can fly at up to 40mph, hunting out flying insects, including smaller dragonflies. In summer large numbers of swallows, house martins and swifts fly up from their nests in the nearby villages to feed over the ponds. In later summer the large white and pink flowers of the wild carrot are common, Visitors may also notice yellow wort with its prominent yellow flowers and unique leaves that grow right around the stem. Several species of butterfly feed on the grasses and flowers, including grizzled and dingy skipper, ringlet, small heath, gatekeeper and the large Essex and small skipper. Day flying moths can be found here too, including the six-spot burnet. This tricking red and black moth is extremely poisonous, containing cyanide derivatives to deter birds. Visitors are welcome to Swaddywell. But it is advisable to leave any cars parked outside the reserve because it is locked late afternoon and weekends. You are also invited to take part in the weekly work party.